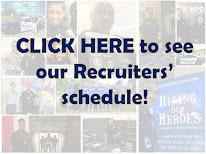 HPD Recruiting will be recruiting at the NAACP National Convention Diversity Job Fair at the George R. Brown Convention Center today (July 10, 2012) from 12 noon to 8:00 pm and tomorrow (July 11, 2012) 10:00 am to 4:00 pm. The job fair is open to the public. If you are in the area and can attend the event, this is a good opportunity to speak with a recruiter about a career with the Houston Police Department. 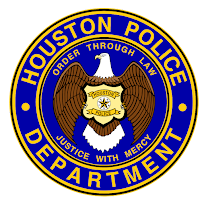 Information about a career with HPD is always available at www.hpdcareer.com or by calling the Recruiting Unit at 713-308-1300. We are currently taking applications for the October 2012 academy class and for anticipated academy classes in February and June of 2013. I love that new black and white! !